Quite a few people have emailed me about my pawn shop circuit, wanting to know which shops I frequent, and how I do it. Pawn shopping is a lot like fishing. When you leave home, you never know what you might catch, but the catch is only half of the fun. If a person does not enjoy garage and estate sales, they will not enjoy pawn shopping. I'll list a few secrets. First, like a good fishing spot, you must know where to go. Maw & Paw shops are seldom lucrative for firearms. Frequently Paw is a collector on the side, and the shop simply feeds his habit. Nicely priced pristine firearms will never make it to his shelf. He will have a nice selection of Lorcins and other crap guns though. Maw and Paw see a pawn shop as a means of making money both by loaning money and selling collateral. Thus their Lorcins will be priced above market value. Paw expects everyone to spend twenty minutes negotiating price. Even if he acts like he doesn't, Paw enjoys haggling. It makes him feel superior in his dusty fiefdom. I will occasionally stop in one of these shops, just to look, but I never expect much. The best pawn shops for gunshopping will make money primarily off loans. The collateral is merely a means of loss prevention in these shops. These are frequently the larger franchise pawn shops. Look for one that has a motivated manager who is not a gun guy. These fellows will usually be late twenties to early thirties in age. In these shops anything used as collateral must be placed up for sale if the loan goes sour. The prices are set by the amount loaned on the item, which may have been determined by Blue Book value, or simply by how much the customer requesting a loan needed. Usually, in a franchise pawn shop, there is a 7-14 day waiting period before an employee can purchase an item just out of pawn. Thus, if you are checking their shelves a couple of times a week, you are likely to see goodies. If you are an old gun connoisseur, finding a manager who uses an out of date Blue Book and who does not appreciate the subtle variations in models can yield big catches. This is how I managed to find a S&W Model of 1899 for $69, a SW1911 for the price of a Springfield Mil-Spec, and a S&W Pre-Model 10 for $89. I do not try to haggle on these deals, I just smile and buy. 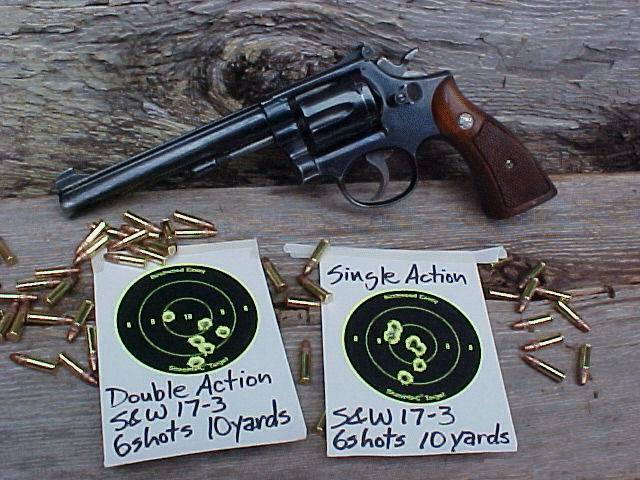 Of course, I also find guns like Neil's S&W 455 HE that are overpriced in my opinion. I simply let those lie. If the manager makes a bad decision on collateral's worth, then I want that pistol in the case looking at him when he starts to price the next one. I will simply look it over and try to educate my eye. If the manager or salesman seems to be receptive, I will let him know what I see. Being able to see the silk purse in a sow's ear is a skill worth developing, but so is recognizing a sow's ear priced like a silk purse. One thing I never do, however, is bring a gun back in after it has been cleaned up. Even if asked, I remain evasive about what I think an item is worth after refurbishing. That's my business. I do not ask what they paid. That's their business. I consider what a gun is worth at the time of purchase only, not what it might turn into once refurbished. I do not expect to be able to negotiate on price much at franchise pawn shops. The store manager might be able to knock off taxes, but the corporate management follows them pretty closely, especially on guns. Once an item is entered into the computer system, the value is pretty much fixed. That occurs long before I see it on the shelf. If a store manager discounts prices again and again with the same customer, he appears to be doing sweetheart deals to the upper echelons of management. He will soon lose his job. I want that manager with the 1999 Blue Book and no interest in guns to keep his job. I'll gladly pay his prices. Having him pricing guns is worth more than $20 off some pistol. Another key factor is checking the shops with regularity. I have tried to leave my pager number at several pawn shops, but I have never been paged. Leaving pager numbers works better for estate liquidators and gun shops. Pawn shops tend to follow a simple routine of removing the item from hock and placing it in the sale inventory and waiting. I make it a point to check my favored spots several times each week. Pawn shopping is truly like fishing in that regard. The man with the most time on the water will likely bring home the most fish, simply because he has found the best spot and he was there when they were biting. I am thankful to have a job that allows me to drive past my favorite shops each day. Some days, I just have a feeling, like ESP. I get to know the managers, and they know me too. I will walk in, take a quick look at the gun case, and say a quick hello. On days when the manager is engaged with another customer this can take less than a minute or two. If he sees me pause and call him over, he knows he has a likely sale. Otherwise, I leave him alone unless his shop is empty and he is lounging around. Finally, know the value of guns in your area that grab your interest. Like any used gun shopper, a successful pawn shopper must learn to independently appraise a gun's worth to himself. This means more than simply finding it among Blue Book listings. Most guns are not unique, and prices can vary widely according to which region of the country the gun is in. 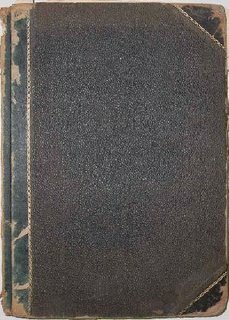 Blue Books give a national average. I keep a journal of interesting guns I have found in my area, as well as their location, prices and condition. I include used guns I have purchased and also those I left behind at pawn shops, gun shows, and private sales. A well kept gun journal can become a very good supplement to the Blue Book, and it can even prevent you from making purchases you may later regret. Often simply writing a find down in the journal instead of buying prevents "gottahaveit" fever. My journal has seldom steered me wrong. So there you have it, a successful pawn shopper is like a successful fisherman. He has gone fishing often enough to learn where to go. He goes to places where the fish are. He has learned through experience the places that will waste his time, but he keeps an eye on them anyway, just in case they should change. A successful fisherman does not go fishing for a 4 pound largemouth bass. He goes fishing for what he can catch that day. Sometimes it's bass, other times it's bream. He will also jug for catfish. He goes fishing frequently, and when he comes home empty handed, he tries again. 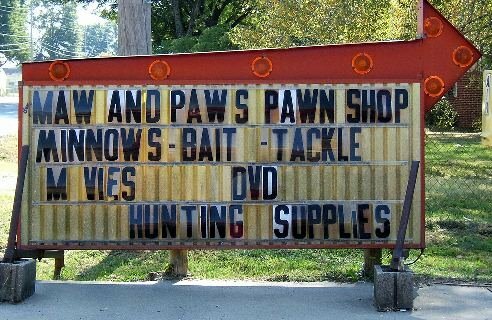 Yep, pawn shopping is a lot like fishing, and almost as much fun. Having money to spend wouldn't hurt either! I've seen more than afew firearms in pawn shops that were really good deals, but when I come back they're gone. I guess for the poor man an addition to those rules might be, "If your heart breaks because you can't buy, don't look"
You're right Sterno, but even if you don't buy, you are still educating your eyes for when you can. That, and there is always lay away! Lots of good tips! I used to hit the pawn shops regularly but mostly the ones in my area fit into the ma and pa category, and seldom are there any bargains unless it's something odd ball that they have no idea what it's worth. Thanks for the nice summary on pawn shops! Not many guns in pawn shops around here, but we are blessed with several ma & pa gun shops. Like gun shows, your advice still applies. ps- any chance we'll see a post on the various online gun auction sites? As a fellow scavanger of pawn shops also in search of things that go bang I agree with most of your points. I however have had more success with the Maw & Paw type shops. This is especially true of the local owned shops that have grown large and may have multiple locations. They know in the long run they do not make money off of holding inventory, but turning over cash into new loans. I managed last year to pick up a Webley Mark III, which had been priced as a Mark IV and the owner dropped the price $200 to $450... I grabbed it and ran! Guns are useful to our protections but can be use in moderate or proper way, not in crimes. Pawning guns would be useful if money is used in proper way. Thanks for sharing these great secrets! I am taking my family to see some of the pawn shops in Broadview. They are pretty excited. Very interesting reading. Pawn Shop picking is fun. You have the best of both worlds. Being able to pick pawn shops while on the clock. This is an interesting article. I always love going to pawn shops because you never know what you can find. Shops like gainesville pawn shop have a great selection and reasonable prices. Pawn shops are also great because you can sell objects you thought had no value. I am looking for a pawn shop in Calumet City, IL. Does anyone know of one? Gas station and similar store loans are now become very popular over the economy condition. But you have to do a make sense dealing process with investing institution like us. I agree that finding something is half the fun. It is always interesting to just look around and see what types of things the shop has. What is your favorite purchase you have ever made at a pawn shop?